GUESTS at a deluxe new boutique resort that opens in Thailand in October of this year can expect a misty-eye, and possibly goose-bumps down the spine, at least once during their stay. 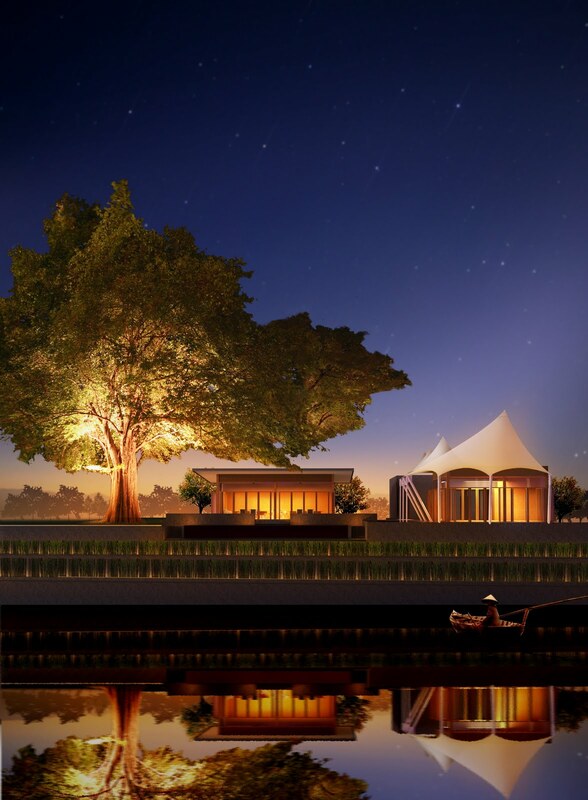 Because as they take evening cocktails before a million-dollar sunset view, they'll also be looking across to one of the world's most-emotive and famous structures: The Bridge on the River Kwai. Built in 1942-43 as part of Japan's horrendous Burma Death Railway that ran 415km from Bangkok to Rangoon, the iron bridge was just one of many along a route hacked through mountainous jungle by 60,000 Allied prisoners of war and 180,000 enforced Asian labourers. And all in a seemingly-impossible 16 months. 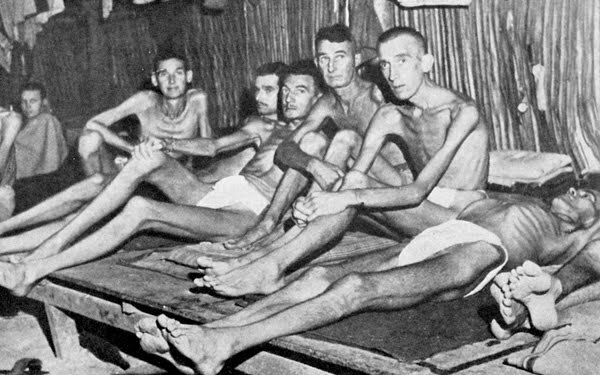 Estimates vary, but most historians agree that around 90,000 Asian labourers died during the building of the railway, while 16,000 Allied Prisoners of War – British, Australian, Dutch, Americans and Canadians – also succumbed to brutal conditions that included stints of working over 30-hours straight to complete the final stages of the line. 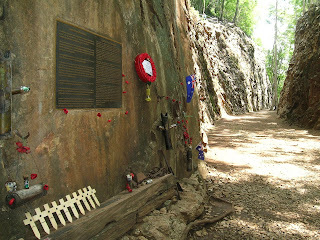 Over 2800 of those who died were Australians. Many guests to the new U Hotels and Resorts Inchantree Resort at Kanchanaburi on the banks of the River Kwai and within view of the Bridge, will doubtless reflect on the history of the infamous railway as they sip their poolside cocktails, watch the kingfishers flitting across the now-peaceful waterway, and muse at the colourful river traffic. Others will possibly find themselves thinking back to the 1957 movie Bridge on the River Kwai and its theme tune, the inspirational but hauntingly-whistled Colonel Bogey March. But they should not take too much of the movie as fact. While based on the diabolical conditions imposed on those forced to build the Death Railway, the major theme of the destruction of the bridge by prisoners of war that inspired the novel and the subsequent movie, was pure fiction from the pen of French writer Pierre Boulle. 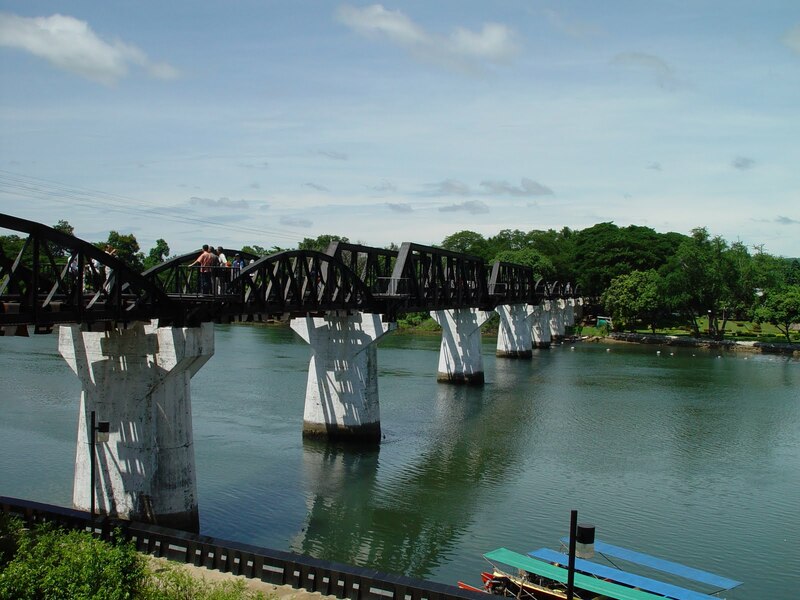 Rather than the Bridge on the River Kwai being blown-up by the POWs who'd built it, sending a trainload of high-ranking Japanese officers to their deaths, the Bridge was not destroyed until the American Air Force bombed it in April 1945. But when Japan invaded from Thailand and took Burma from the British in the early 1940s, it found itself with a confronting problem: supplies for Burma had to come in by sea through the Strait of Malacca and the Andaman Sea, and both were pretty-much controlled by the Allies. So it decided on the rail link between Bangkok and Rangoon. At any cost. But when completed the Burma Death Railway failed to achieve the result Japan wanted, and rather than a 24-hour stream of trains rushing freight and troops up and down the track, at the most it could manage just a handful a day. When the war ended the line was abandoned and huge sections devoured by the vigorously-growing jungle. 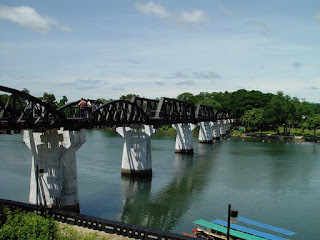 But in the 1950s the Thai government re-built about 130km from Kanchanaburi to Nam Tok that's open today to local and tourist trains… and Japan gave two pre-fabricated sections to re-open the Bridge on the River Kwai. When U Hotels and Resorts' boutique Inchantree resort opens at Kanchanaburi in October this year, guests will be able to look out to the historic Bridge on the River Kwai, muse back on its past as they watch modern-day trains rumbling across from Thailand to Myanmar, and take-in the spectacular river sunsets. 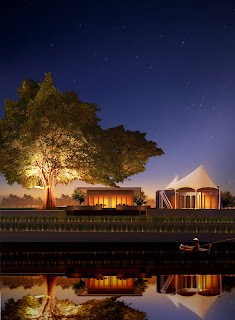 The just 26-room river-lodge style resort will be set around a courtyard dominated by an ancient shady Inchan tree, and will offer a blend of local heritage and modern amenities, semi-open-air restaurant, pool, library, internet station, Thai spa, heritage talks and walks, and even biking tours of the local area. And interestingly, it will provide guests with 24hrs use of rooms from whatever hour they check-in, free Wi-Fi, daily breakfast whenever it suits them – and, thankfully, telephone calls at actual cost.